Cubic's GATES lock is an electronically controlled padlock for intermodal shipping containers. The armored case discourages brute force attacks. Electronics monitor the lock's current state to detect and log physical attacks. 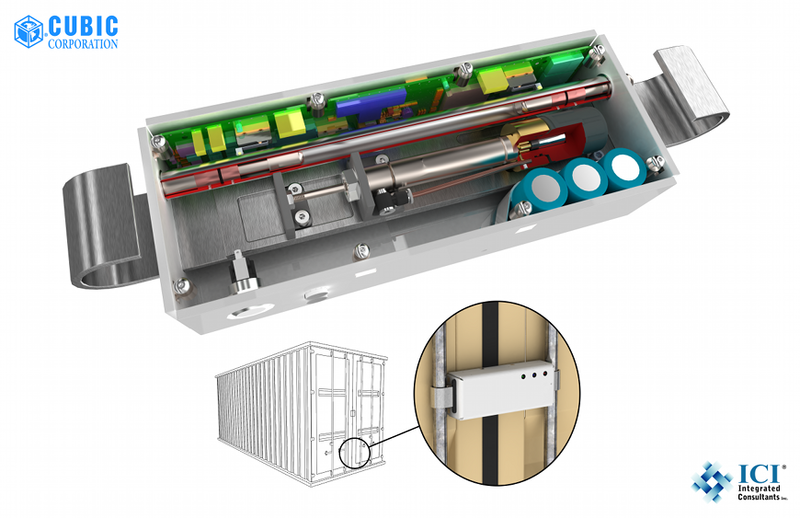 ICI's innovative hydraulic locking mechanism allows the lock to cinch up tight against the container bars and resist attempts to force the lock open yet uses little electrical power to operate and is cost effective to manufacture.